Posted by Brittany Bosher on Wednesday, September 30th, 2015 at 4:33pm. Wide water views and a charming atmosphere crate the perfect place to call home in Tequesta, Florida. Tequesta is an incorporated village found just north of Jupiter. It is a cozy area covering just over 2 square miles and Tequesta features a small population making it very intimate and private. Though Tequesta is small it packs a punch! You will love the local restaurants, with some of the best tropical cuisine in the state. Adorable shops are dotted throughout the village offering specialty shops for boating, fishing, clothing and food. The privacy and serenity Tequesta has to offer are some of the characteristics that make its homes so desirable. The Loxahatchee River winds throughout parts of Tequesta offering ideal waterfront real estate. 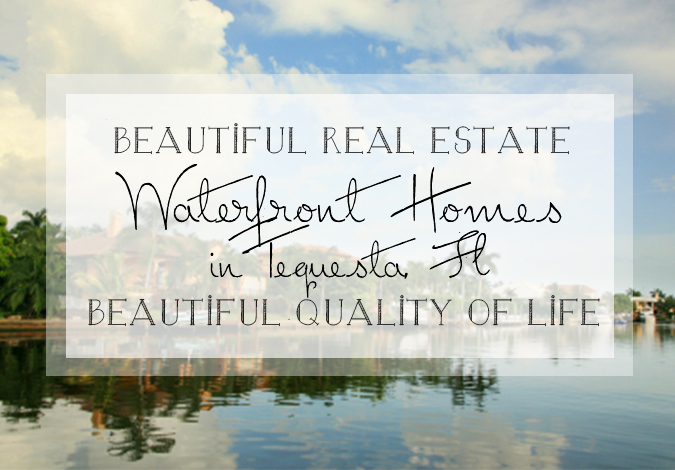 Known for its riverfront lots, Tequesta Waterfront Homes for Sale boast incredible, panoramic views of the river. The riverfront community features riverfront single-family homes, condominiums and golf courses homes. There is truly something for everyone. For the water lovers, Tequesta is ideal! The river leads directly to the Jupiter inlet and out into the Atlantic Ocean. You can boat, paddleboard or kayak past the landmark Jupiter lighthouse. Waterfront dining is plentiful; try Jetty’s for phenomenal seafood and steakhouse fare. For something more casual give Hogsnapper’s a try, with its Tiki feel and unbelievable island style cuisine. Specialty food shops are plentiful as well with great American deli’s, bakeries and more. Riverfront bars are perfect for walking the docks, looking at the yachts and enjoying a cocktail. Can you picture it? Standing at the end of your dock at your new Tequesta home, enjoying the warm, Florida evenings and the fiery sunsets. What could be better than that?